More than a dozen cities in the United States currently have programs running similar to the pilot project we propose. After teaching an evening class at Portland State University, I walked up to the kiosk showing TriMet arrival times. My bus was coming in five minutes. Good news. One of my students was standing there, too. She shook her head, looked at her phone, and said, "My next bus is in 30 minutes. I'm just going to Uber home." Her situation wasn't unique. Across the country, more and more commuters see ride-hailing as a reliable and affordable substitute for mass transit. Transit agencies should see services such as Lyft and Uber as an opportunity rather than a threat. Toward that end, the Cascade Policy Institute recommends TriMet pursue a pilot project that replaces one or more of its high-cost bus lines with ride-hailing services supported by a subsidy funded with the cost savings from eliminating the high-cost line. The experiment likely will find that replacing high-cost bus service with ride-hailing will improve ridership and save money. TriMet faces a challenge of declining ridership in conjunction with rising costs. Ridership has declined for many public transit providers in the United States. TriMet reports bus boardings have dropped 13 percent from their 2009 peak. As the Portland Tribune reported, the agency thinks many factors have contributed to the decline in ridership, including gentrification in Portland, the growth of urban centers inside and outside the city, and the development of self-sufficient walkable neighborhoods that has reduced the need for bus trips. Longer travel times likely are another factor that explains the decline in bus ridership. From 2007 through 2017, the average vehicle speed for TriMet buses has dropped by almost 9 percent. Portland city Commissioner Amanda Fritz recently tweeted that Portland's new speed limit has made her bus commute five minutes longer. Over a year, that's about 30 extra hours sitting on a bus. With longer travel times, the costs to commuters of using public transit increase, leading to a decline in ridership. As with any mass transit enterprise, TriMet operates a number of high-cost, low-ridership bus lines. For example, the agency reports the No. 97 (Tualatin-Sherwood Road) bus line has about 10 riders per hour, at a cost of more than $18 per ride. The fare for a ride-hailing service covering the same distance as the average bus trip would be less than $8. Service on this route could be completely replaced by ride-hailing services and save TriMet thousands of dollars a week. While ride-hailing can replace mass transit, it also can complement bus and rail service. Recent research finds that ride-hailing services have the largest positive effect on rail service in cities with large public transit systems already in place, such as Portland. 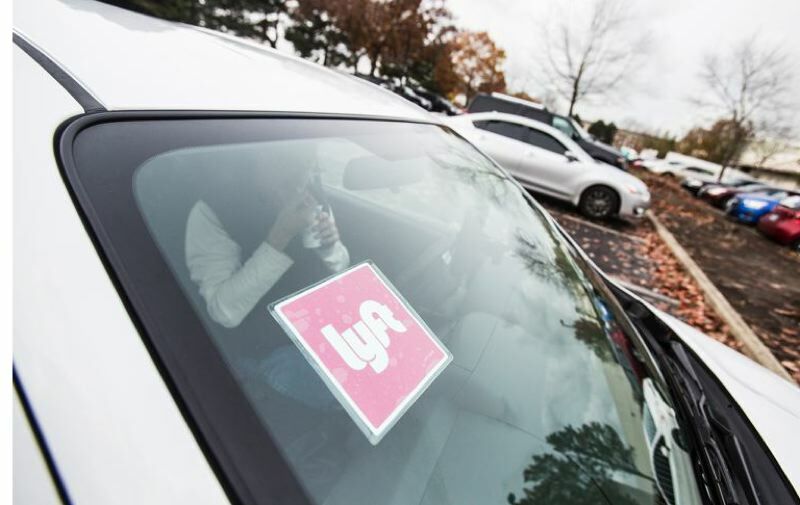 In 2015, Lyft conducted a nationwide survey and found that 25 percent of riders use Lyft to connect to public transit. Uber reports that nearly 25 percent of Uber trips in suburban Portland began or ended within one quarter-mile of a MAX or WES station. More than a dozen cities in the United States currently have programs running similar to the pilot project we propose. Detroit's program, "Woodward 2 Work," runs late at night and is aimed at those who work late shifts when mass transit does not run. San Clemente, California, replaced two high-cost bus lines with ride-hailing. Marin County, California's service is designed to boost ridership on commuter rail by making it more convenient for riders to get to and from rail stations. Several of the programs that began as pilots have been extended because of their success in serving commuters and saving money. Many of these cities have developed procedures to accommodate users who do not have a smartphone, and users with ADA-related needs. In approving ride-hailing services in Portland, the city mandated a performance standard that called for wheelchair-accessible vehicles to reach riders in 30 minutes or less. In Detroit's program, riders without bank accounts can use prepaid gift cards. The pilot project we recommend would be a low-cost, low-risk test of potential synergies between public transit and private ride-hailing. If successful, the lessons learned can and should be applied to additional high-cost transit lines.